Sarah M. finished our On Ramp program back in May and hasn’t looked back since. I remember when she first started how barbells, kettlebells, and lifting weights just seemed a foreign idea to her. Now, it is just one of her favorite workouts! If you see her on the street, she is wondering if she can deadlift you 🙂 Her current goal is to get that dang kipping pull up. She is so close and its arguable that she already got it the other day…I’m not counting it until her chin is parked above that bar! Click on her picture to hear her story. 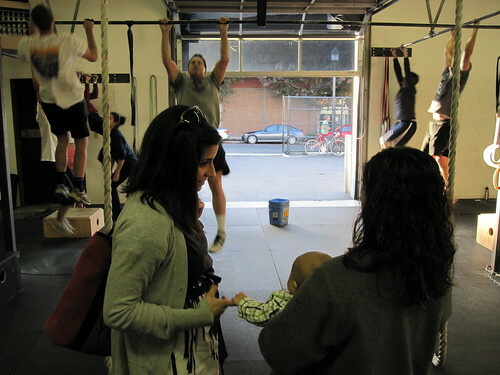 Nichole, what a weird workout…do I run more or rest more for pull ups? 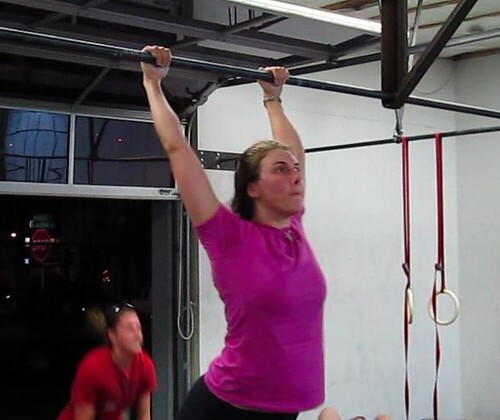 Kind of depends on what you are going for and how good you are at pull ups.